Something your dealer probably didn’t mention about your new car is that you don’t need to have your new car serviced by your dealer to maintain your statutory warranty. Here are the facts about your new car’s statutory warranty. The Workshop Hawthorn is fully qualified to service your new car and maintain your log book schedule whilst the car is within the warranty period. 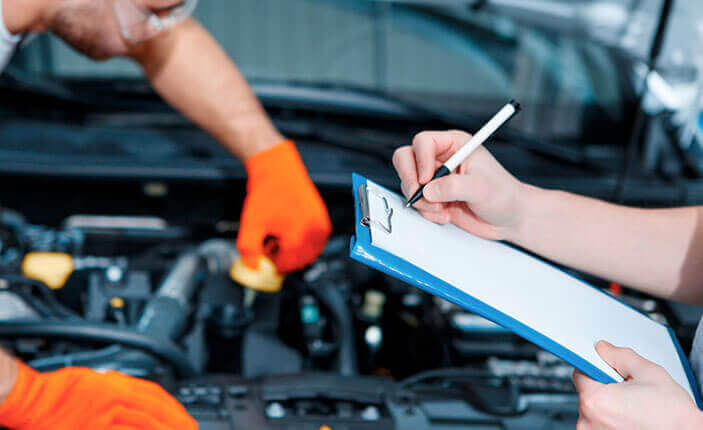 Changes to consumer laws in 2010 further confirmed that car owners have the right to choose their own qualified mechanic to have a new car serviced. If you’re concerned about preserving your statutory rights to a new car’s warranty, but also want to obtain expert service at competitive rates, The Workshop Hawthorn can help. When it comes to reliable log book service, here are a few reasons why you can trust The Workshop Hawthorn. The Workshop Hawthorn is a V.A.C.C. automotive repairer which means we use the latest diagnostic techniques that are specifically designed for today’s cars. The V.A.C.C. also provides continual training so our service technicians stay up to date with modern vehicle technology. Only recognised quality manufacturers and genuine parts are used and are covered by our extended warranty. (See our warranty page for details Link) Our technicians are carefully selected to ensure that only suitably qualified and equipped staff will work on your car. At The Workshop Hawthorn, we explain all of our work in a straight forward manner and we advise you in advance of any extra work that may be required. The Workshop Hawthorn Service mechanics will happily provide a written 65 point safety report whenever your car is serviced. This report is designed to identify any issues with your vehicle that have the potential to become a major safety problem before it impacts on you and your family. There are many reasons you may want to have a 65 point safety check performed on your car. You might be going away for a long weekend or holiday. This is an easy way to be aware of anything that might go wrong with your car and prevent any disasters, a huge benefit when traveling in remote areas. You might also want a 65 point safety check performed on your car because it is getting older. As cars age, the potential for something to go wrong increases. A safety check will prevent issues that become expensive to repair in the long run for cars of any age. Our trained technicians are known for their reliable car servicing. They are fully qualified to advise you on every aspect of car service and repair, on any make or model of motor vehicles. The 65 point safety report offers you additional peace of mind.